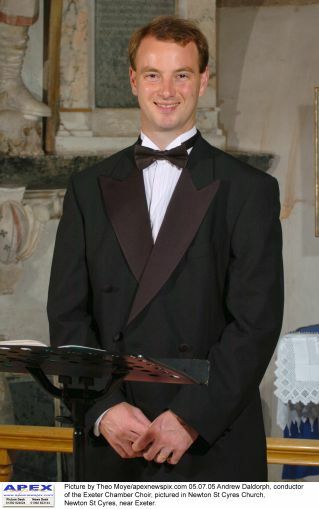 Andrew is conductor of Exeter Chamber Choir and East Devon Choral Society. He also conducts the semi-professional choir Musica Prattica. Andrew is equally at home conducting full orchestral concerts as small ensembles (which he will often lead from the harpsichord or chamber organ). His choice of concert programmes for his choirs reflect his diverse musical interests. Recent performances have included everything from Monteverdi to Gershwin, Bach to Tippett. He is also regularly asked to run workshops as a visiting conductor. Innovative warm-up, rhythmic and harmonic exercises will help choirs find new ways of approaching their music-making, either working on his own compositions or music of the choir’s choice.